Our secluded campground is in the heart of the North Georgia mountains - right on a mountain stream. 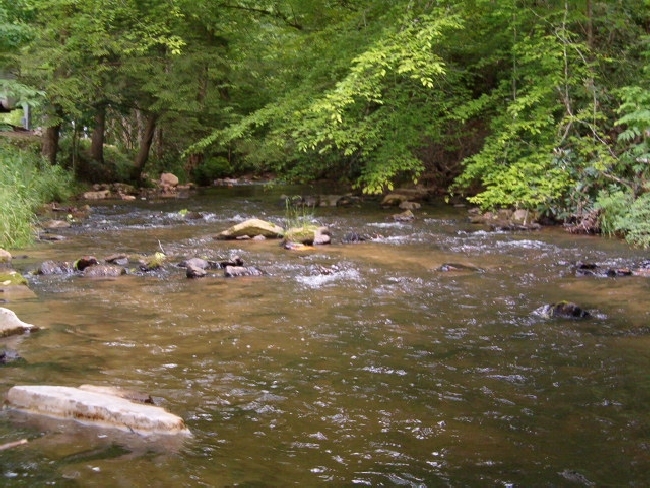 We have 10 mostly shaded campsites and many right on Hemphill Creek. All are convenient to our modern sparkling-clean bathhouse, store and pavilion/playground areas. All sites have fire rings and picnic tables - firewood is available at the store. Minimum stay on holidays and holiday weekends - 3 nights. Camping in North Georgia is truly unique - we are just minutes away from the Cohutta Wilderness Area and it's even quicker to North Georgia's Cherokee National Forest with 10's of thousands of acres of protected recreational areas. 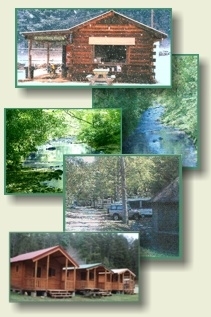 You can fish for trout on a quiet mountain stream or bravely sail ahead on a whitewater rafting adventure - take a train ride thru the countryside or laze about our pool - it's all here in the scenic North Georgia Mountains.